RDT Pacific team members contributed to the successful delivery of two outstanding projects that won awards in the fourth annual New Zealand Commercial Project Awards held on May 6th, 2016. 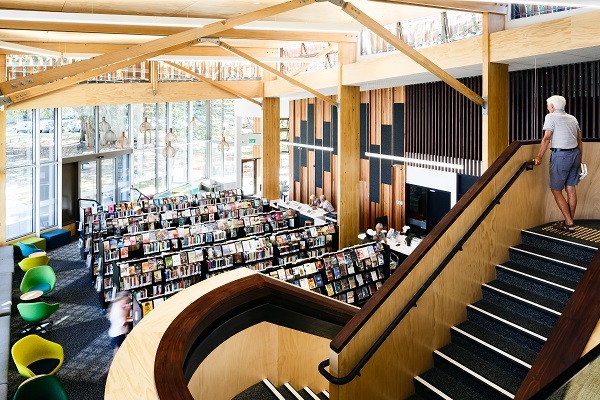 National Category Winner for Commercial and Civic Devonport Library also took home the Gold. Senior RDT Pacific team member Khai Tan contributed his Quantity Surveying expertise to the community focused building, which is designed to blend in well with its leafy, historic surroundings and capture harbour views to the south and east. Housing an eclectic mix of local artifacts and specially commissioned artworks, this property provides a community hub and delivers a new paradigm for the way a library is used. Owned by Goodman Property Trust, Central Park Building One in Ellerslie incorporates extensive feature precast wall panels coupled with glass curtain walls. The four-storey build – which took less than 12 months – included an extensive fit out for Youi Insurance. The New Zealand Commercial Project Awards have been established by commercial contractors committed to celebrating industry excellence and craftsmanship, while promoting excellent processes and practices within the commercial construction sector.